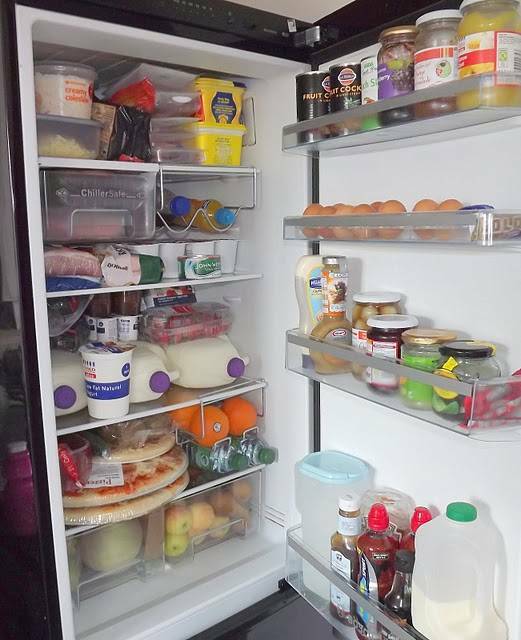 Here is a peak inside a mum of 4 children’s fridge!! All I need now is a MTV Crib style fridge. One of those big American fridges would be amazing. So I could spread everything out!! Come Friday I will have it all to do again as this food will not last long!! Monday Mellow Yellow : Daisy.. 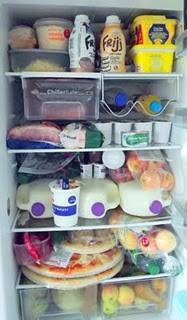 I can't help laughing at your fridge picture it is so similar to mine! Thank goodness other people buy as much milk as me. 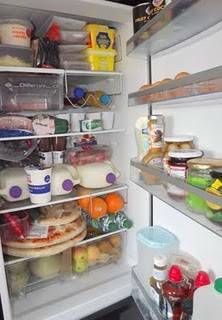 Our fridge is full of fruit, vegetables, yogurts, milk, eggs, low fat yogurt and cottage cheese. We have no treats in there at the moment they will probably be in there on Saturday.